Thus, said Dr. Agnes Rola, professor at the UPLB College of Public Affairs and Development, after hearing the research and extension initiatives on water that various UP campuses have been undertaking. Dr. Rola, chair of the networking and partnership committee of the UPLB Interdisciplinary Program on Water, facilitated a workshop that explored collaborations among UP campuses in studying and advocating water security in the country. The workshop was part of an inter-CU meeting that the said Program initiated on June 28 at the BM Gonzalez Hall, UPLB. Marian Fe Theresa Lomboy of UP Manila’s College of Public Health reported researches, among which is to update the National Standards for Drinking Water, a project commissioned by the Department of Health. “We are able to come up with mandatory water quality parameters that should be tested by all water suppliers and service providers in the country,” she said. Dr. Corazon Abansi, vice chancellor for academic affairs of UP Baguio, shared to the audience the water harvesting project of their CU. “Maraming rainfall sa amin and yet, nawawala lang. We would like to demonstrate to the whole community that water can be harvested and reused. It’s our way of showing the community that we are a water-responsive campus and we recognize the scarcity of water in Baguio City,” she said. Meanwhile, Dr. Joy Lizada mentioned the Water Synergy Group of UP Visayas, where she is a professor. “Those involved in water research and public service attended a forum on agenda-setting workshop for the UPV Interdisciplinary Studies in Water Resources.” She said that UPV is pushing for marine water. Representatives from UP Diliman, UP Cebu, and UP Mindanao also discussed their water research projects and multi-sectoral linkages. Dr. Patricia Ann J. Sanchez, chair of the UPLB Interdisciplinary Program on Water, explained the background and the upcoming activities of the Program, including the upcoming National Water Summit this year. During the meeting, Chancellor Fernando C. Sanchez, Jr. reiterated the relevance of water research and extension in the country. He also cited the past Administrative Orders (AO) that he had issued, which have formed inter-college bodies to undertake interdisciplinary studies on water. These are AO No. 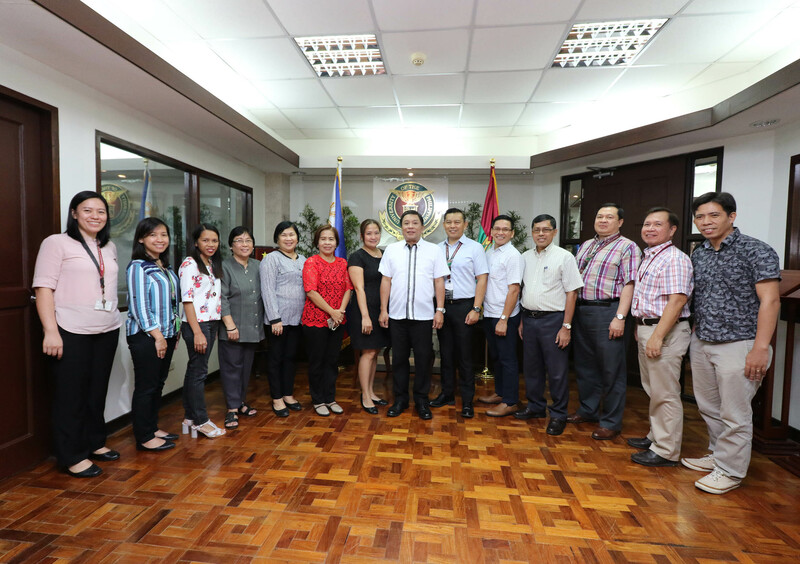 33 (UPLB Committee to Formulate a National Water Security Roadmap) and AO No. 247 (UPLB Integrated Water Research Center, which has been renamed to the current Program). The attendees agreed to come up with a unified database that would serve as an inventory of all water-related research and extension initiatives of each CU. They also plan to bring to the UP System administration their intent to have a System-wide structure that would convene collective water research and extension among CUs.